all the windows are flung open and i'm taking in every last bit of the warm weather today. there's a chance of snow on thursday and max and i have our fingers crossed for it! Also, I'm pinning and stealing that red orange and white color combo! 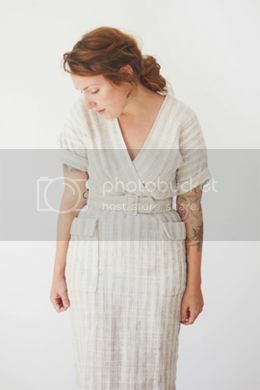 Love your blog and the tree decals on your walls and your outfit....I could go on you know! YOU DON'T EVEN REALIZE HOW MUCH I LOVE PATSY CLINE! When I listen to her tunes I'm always taken back to riding in the car with my cousin and aunt, all of us bobbing our heads and singing along! i've been listening to my patsy cline station on pandora a ton lately and loving it. (i realize that doesn't get me as many points as listening to it on vinyl would ;)i love the simplicity of this post! 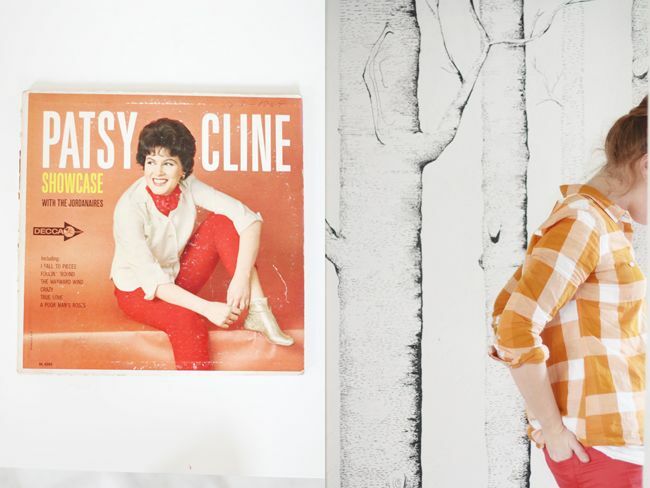 I need me some Patsy Cline records!